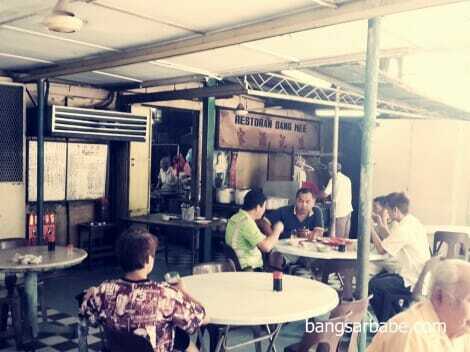 Sang Kee Restaurant serves really tasty wat tan hor; possibly the best I’ve tried thus far in Kuala Lumpur. 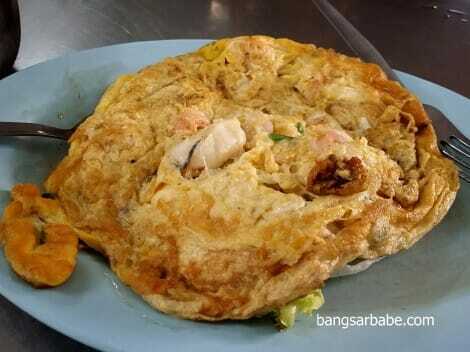 I’m talking back to basics – Cantonese fried kuay teow topped with seafood, pork slivers, liver and redolent of wok hei. One bite and I knew I struck gold. But let me give you a heads up. Sang Kee Restaurant is a pretty old shack established in the early 50s. The interior is rather rundown; not a sight to behold. 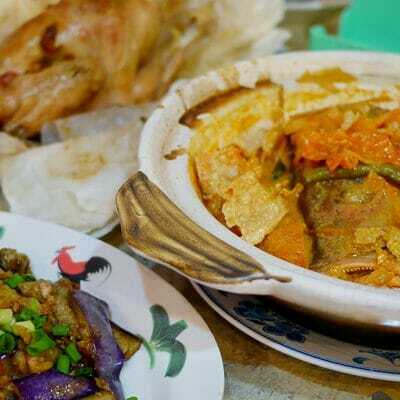 Look past that and you will be rewarded with an array of traditional Chinese fare. 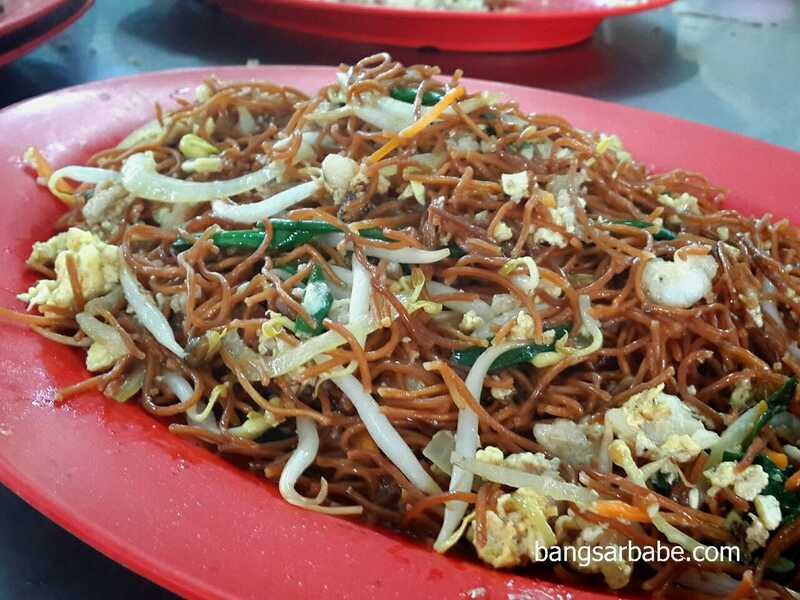 The Hokkien Mee is not as saucy or dark compared to Kim Lian Kee or Ah Wah, but it holds its own. 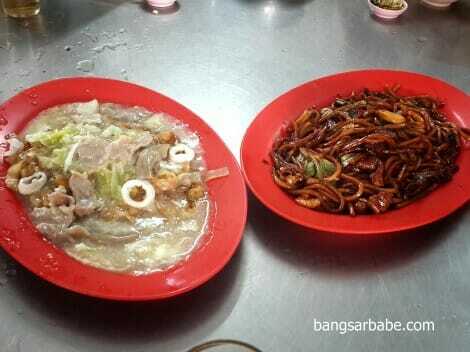 I’m not big on this, but was told this is the old school Hokkien Mee. Best eaten with sambal chili. The house special fried sang mee was tasty – cooked just right and had just the right balance of flavours. This had less wok hei compared to the other two noodle dishes, but more eggy in nature. 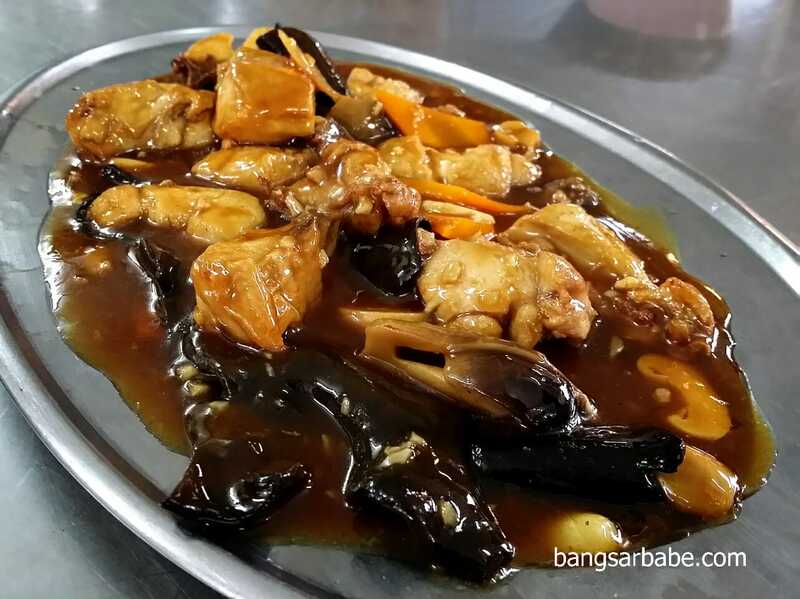 During another visit, I tried their tai chow dishes; steamed fish, claypot tofu, fooyong egg, pork ribs and three mushroom chicken. While the dishes had a home cooked feel, I wasn’t particularly impressed with the taste. 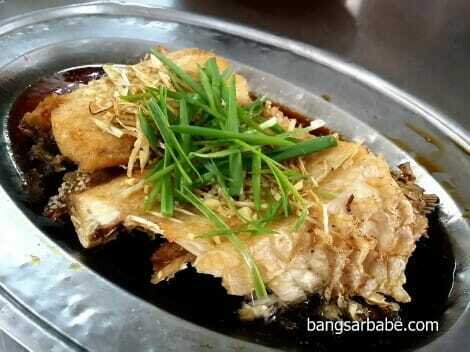 The fish was fried and then steamed in a light soy sauce gravy and ginger slivers. Decent, but I reckon the spicy bean version is better. But it was the middle of the afternoon and we were eating under a zinc roof in office clothes; eating spicy food would be unwise. Egg Foo Yong came with plump prawns and minced pork – simple yet tasty with white rice. 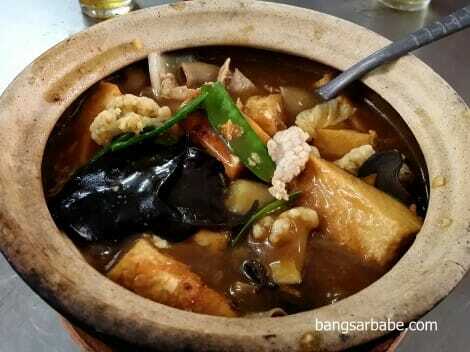 The claypot tofu also went well with rice, cooked with pork slices, vegetables and pieces of intestine. Skip the mushroom chicken as it was very average and bordering starchy. Instead, order the three cup chicken. 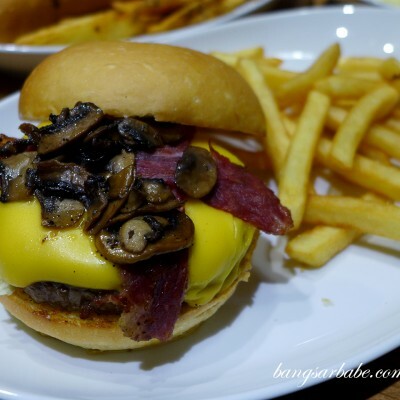 My colleague claims it’s much tastier that the mushroom version. Better was the pork ribs, coated with marmite sauce. 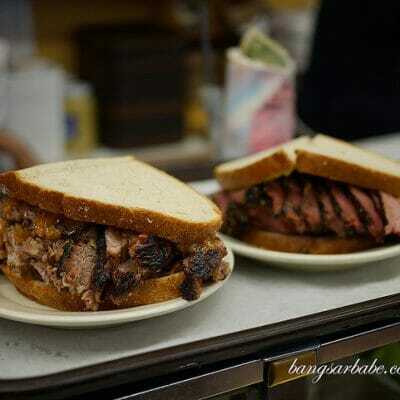 While I would have preferred these to be boneless, the meat was adequately juicy and tender. I see you’ve discovered my favourite hidden gem. Lol! 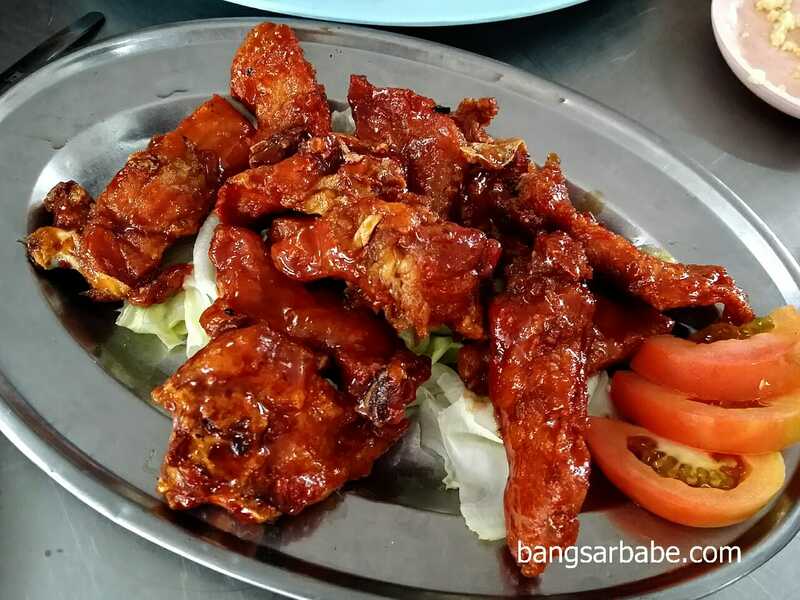 Try their ku-lok yok the next time you go, k?